Our temperature probes are wireless and weather proof; they allow the user to keep track of temperatures in composting materials. Suitable for open windrow and in-vessel operations, it provides evidence the product has reached required temperatures during the composting process, complying with relevant regulations (eg PAS-100, ABPR). In finished compost and stockpiled oversize, our temperature probes also fulfil fire prevention plan (FPP) monitoring requirements by sending high temperature alerts. 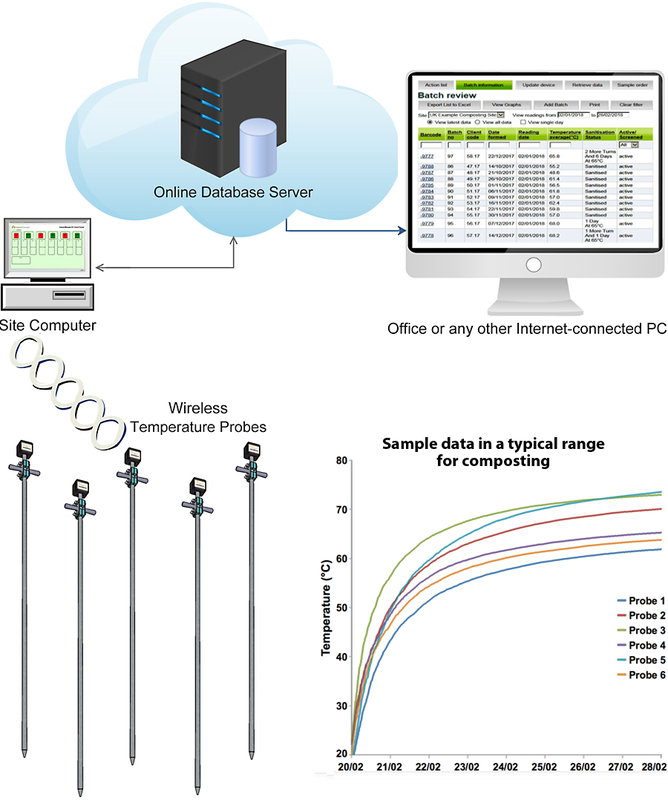 The compost temperature probes are part of an end-to-end solution for in-vessel composters. The sensors constantly monitor temperatures and deliver the data direct to your computer wirelessly. Our solution includes the potential to integrate with positive aeration systems. Our unique probes do all the leg work at a fraction of the cost of manual recording. The sensors are simply inserted into the compost where they monitor temperatures 24/7 and send the data direct to the site computer. What’s more, the data can be fed straight into the PAS100 layout, providing reports at the click of a button. Because our sensors can be used for in-vessel and open windrow operations, they are also ideal for sites carrying out both processes and which store the finished product outside. Freeland Scientific offers a full on-site survey before installation and an annual calibration service. Ongoing support and system maintenance are available from our specialist team. 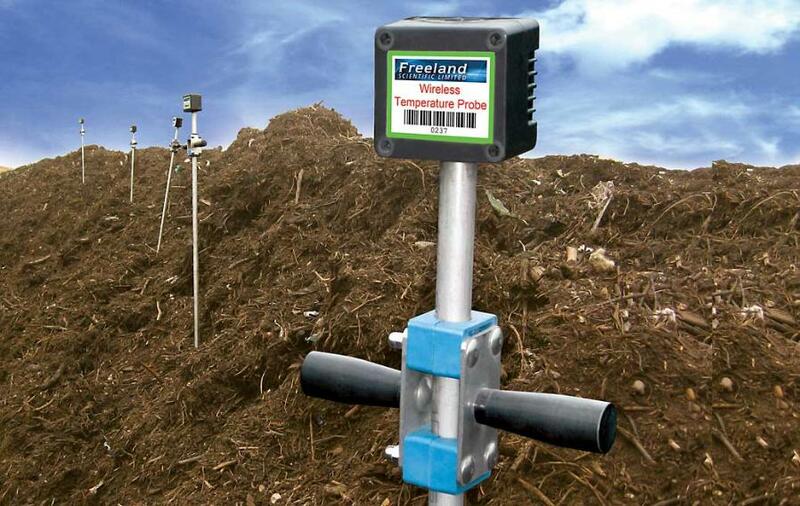 If you want to find out more about our wireless compost temperature probes, please call us on 01322 667076. Standard probe length is 1.5m or 2.0m. Bespoke lengths up to 3.0m maximum are available on request. Spare sensor head units can be kept on site and exchanged during repair or calibration to avoid down time. No wires, no expensive equipment, no fuss. Call now on 01322 667076 or email maria@freelandscientific.com and discover the benefits for your business.